Today, I'm sharing a sneak peek at the beautiful new Holy Night Custom Die from Our Daily Bread Designs! This stunning die is part of the Christmas Collection that will be released tomorrow, October 1st! I went with a Clean and Layered look, for a simple yet striking Christmas card, die cutting and embossing the rectangle panels using the Flourished Star Pattern, and Pierced Rectangles die sets. 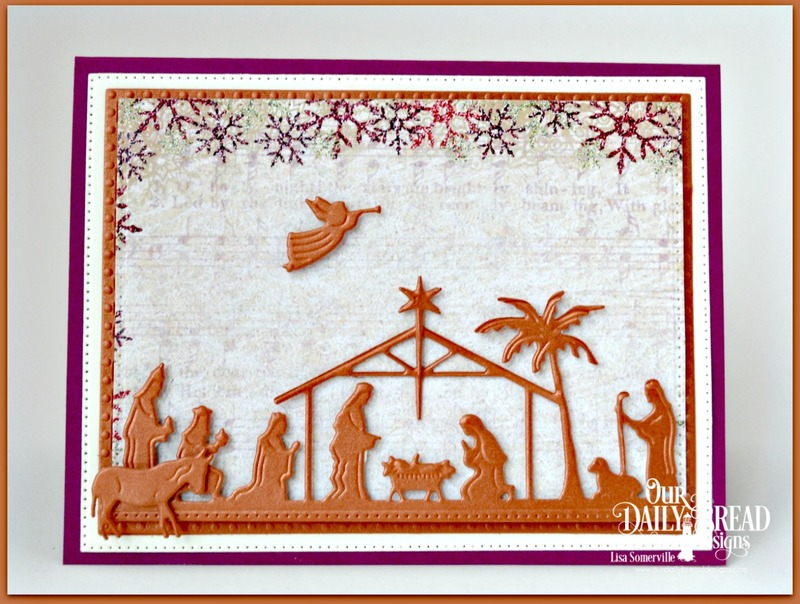 The bottom of the Holy Family die was also die cut/embossed using the Pierced Rectangles die. The paper is from the Christmas Collection 2015. Be sure to stop back tomorrow for the ODBD October New Release and Blog Hop!